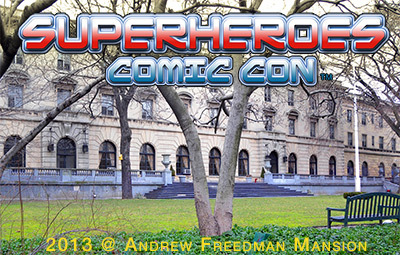 Super Heroes Comic Con 2013 | Innovation, Inspiration... Atlas Unleashed! JOIN US at SUPERHEROES COMIC CON!!! Atlas Unleashed will be in the Mansion! Many other outstanding creative talents will be attending, along with panelists for a once in a lifetime event. Be sure to let your fellow comics enthusiasts, and comics shop owners know of this historic event held in a historic NYC Landmark!